Enugu Rangers goalkeeper, Nana Bonsu says his dream is about to be fulfilled after the side moved to within a point of winning their first Nigeria Professional Football League title in 32 years. 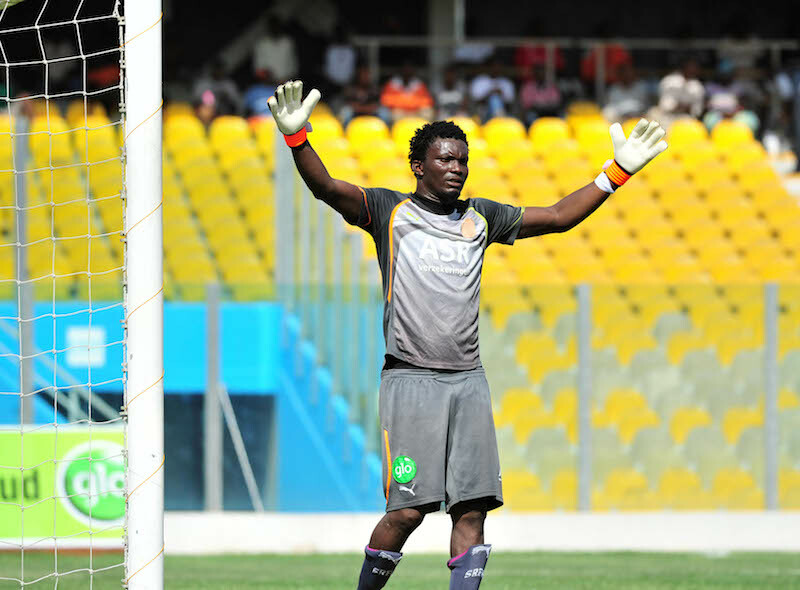 The Ghanaian born goalie who has represented his country of birth at the U-17 level took the risk to link up with the hitherto underachieving Coal City side after winning the Ghana Premier League title with Ashanti Gold last year. "I won the league title with Ashanti Gold in Ghana last season and told myself I have to repeat the feat with Enugu Rangers when I made the decision to sign for the club," Bonsu said after his side's 2-1 win against Ikorodu United at the MKO Abiola Stadium, Abeokuta last Sunday. "I later got to know about the history of the club, that is not winning the title in 32 years and I felt I could play a key role in helping us put an end to that. "It was a big risk for me as I have the opportunity of playing in the CAF Champions League but that decision has been justified now. "Now, we are close to breaking the drought and i'm looking forward to us lifting the title on Sunday." The Flying Antelopes are looking forward to celebrate a seventh league title at 'the Cathedral' Nnamdi Azikwe Stadium, Enugu on Sunday when they take on El-Kanemi Warriors which will see them move levelled with Oriental rivals, Enyimba Football Club of Aba on the number of titles won. Nana has however called for caution ahead of the game where they only need a point to be crowned champions. "We are almost there, but football can be unpredictable at times,"he added. "We have to go out there and give our best. Like our coach (Imama Amapakabo) said after the game, it's not yet time to celebrate. "That will be done after a positive result against El-kanemi on Sunday."